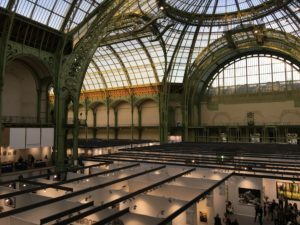 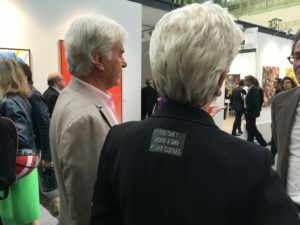 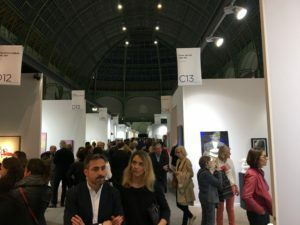 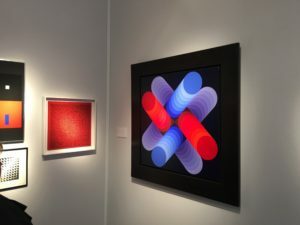 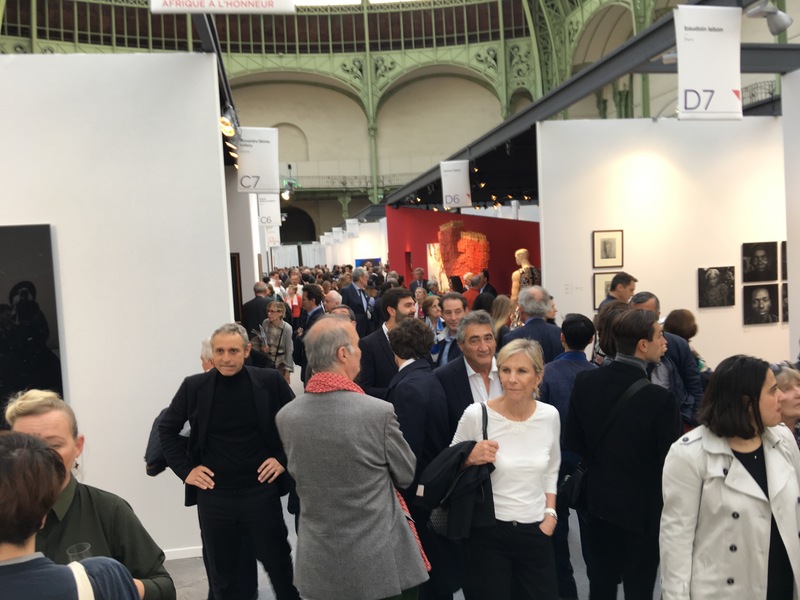 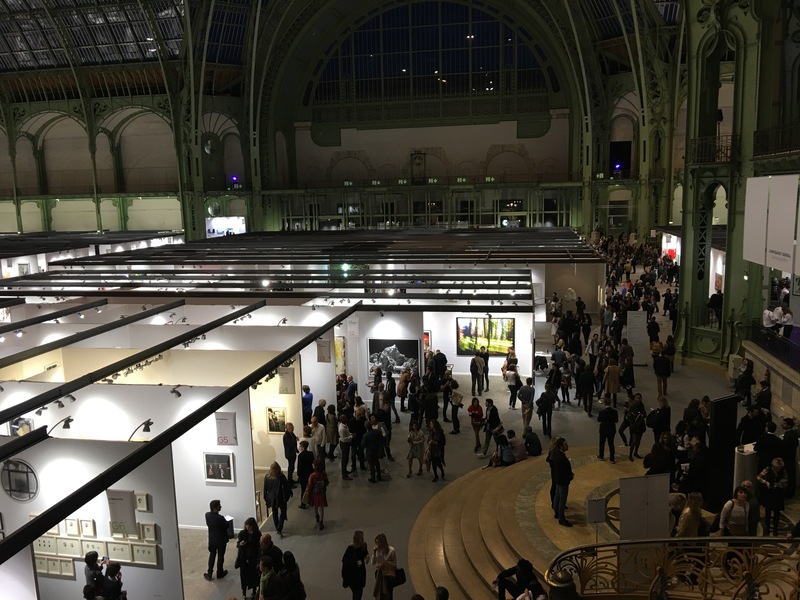 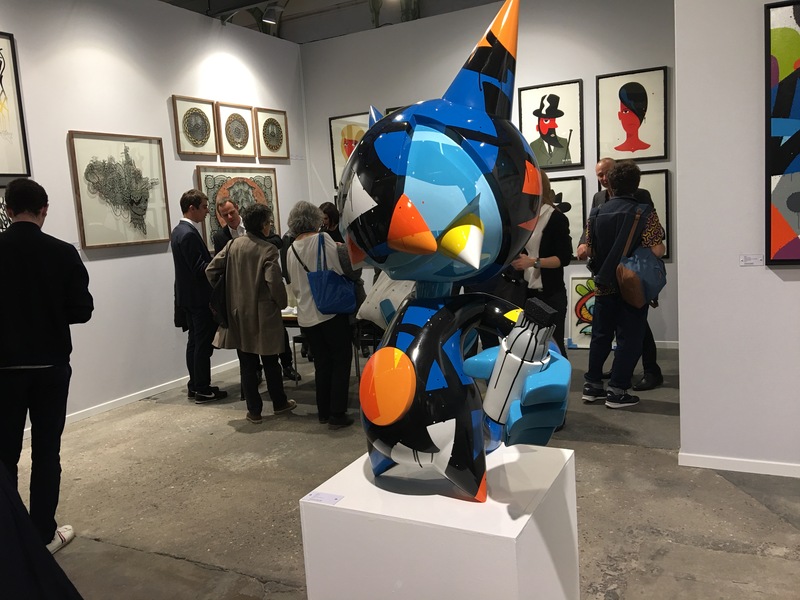 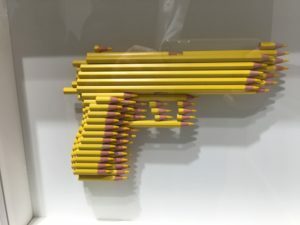 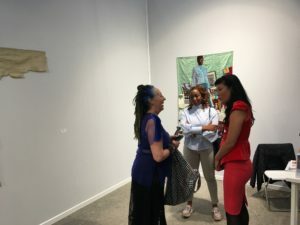 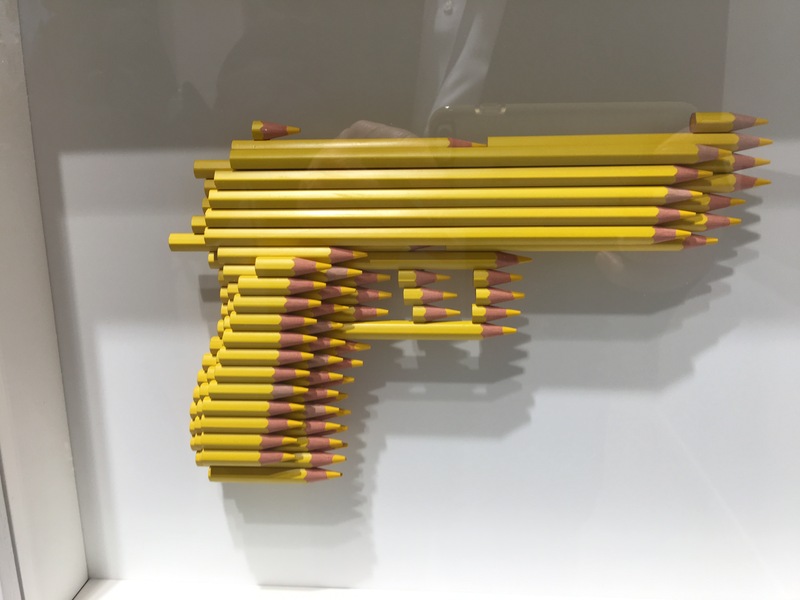 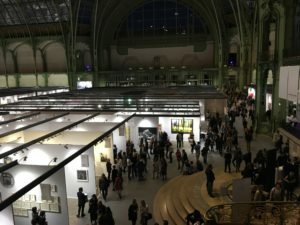 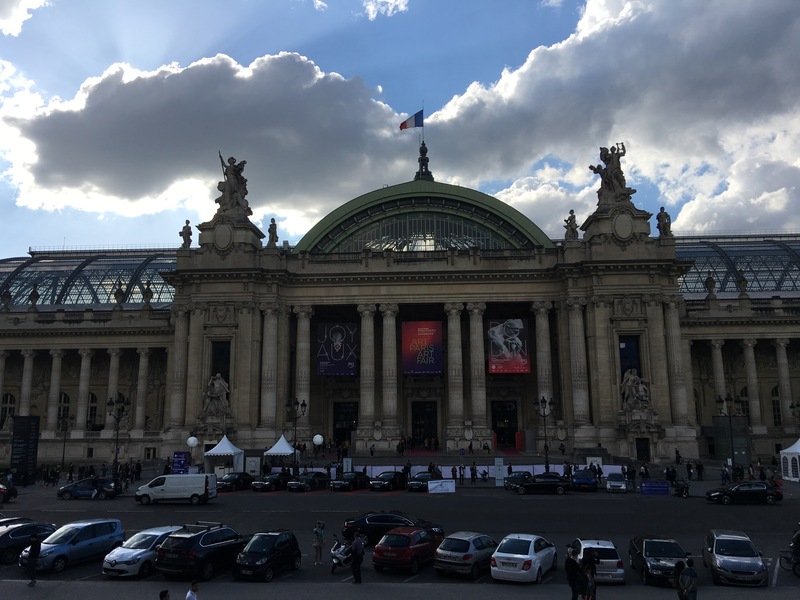 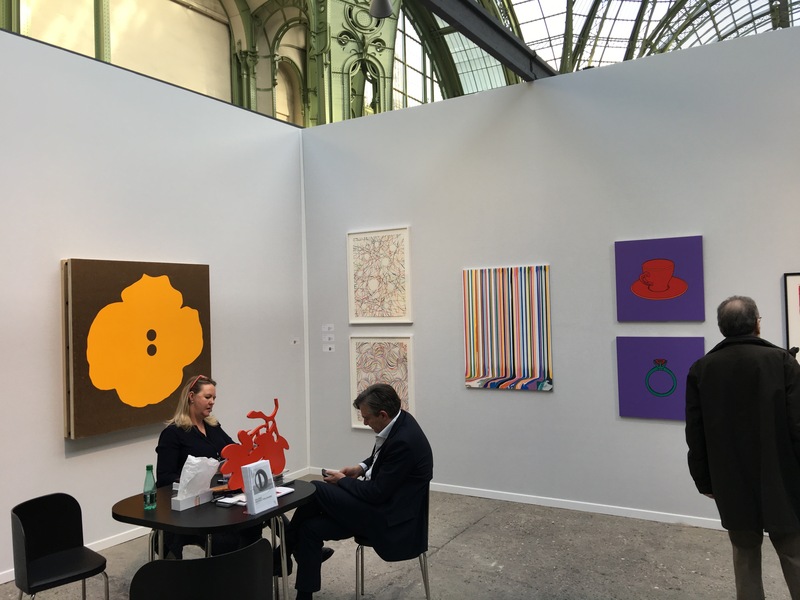 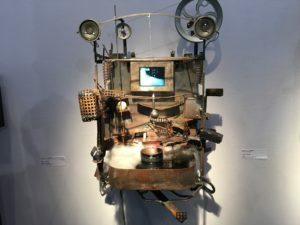 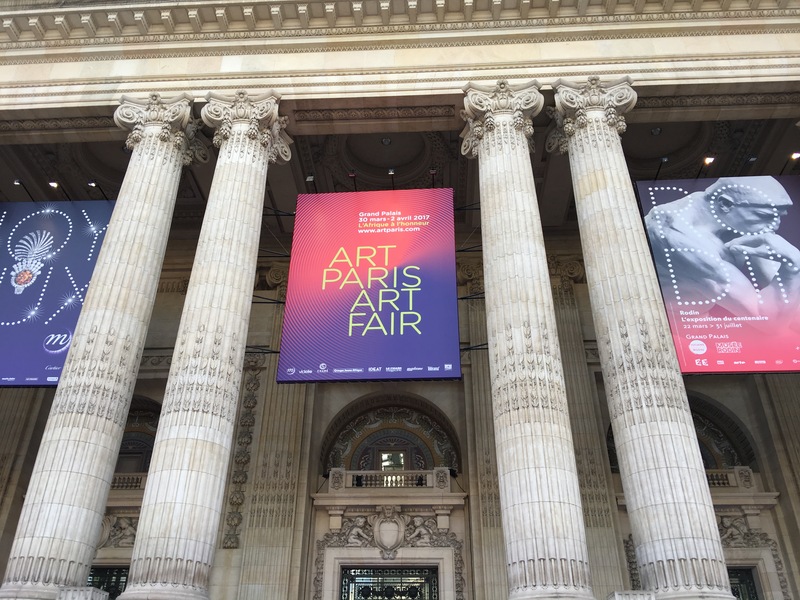 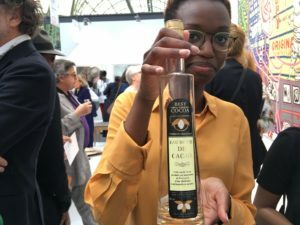 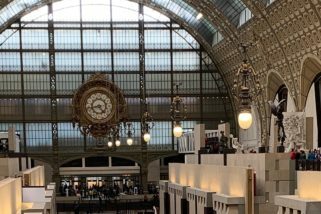 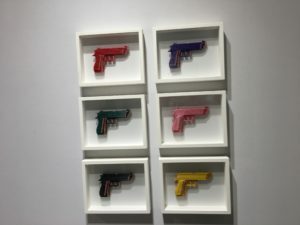 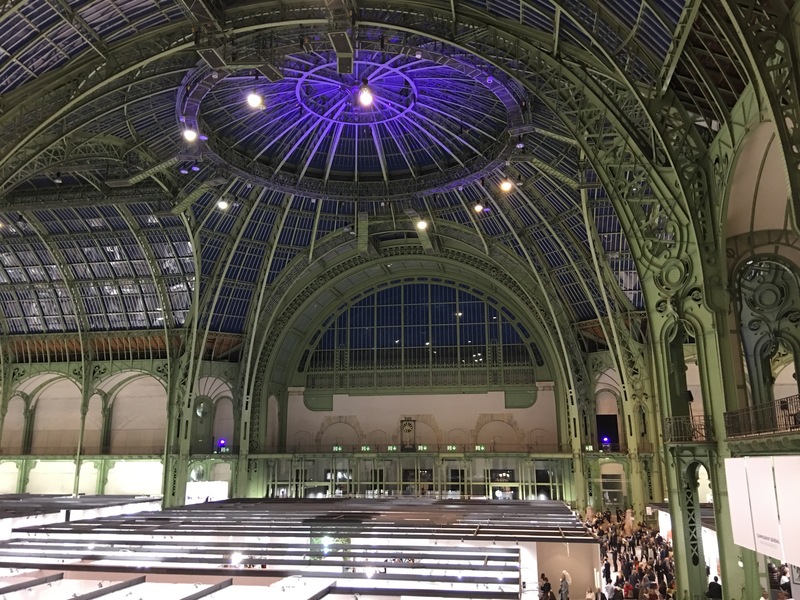 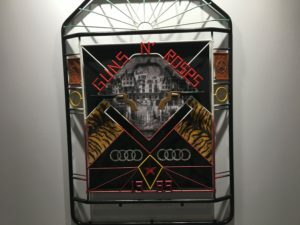 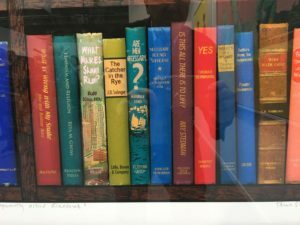 “Art Paris Art Fair” returned for its 19th edition in 2017 at the Grand Palais with 139 modern and contemporary galleries from 29 countries showcasing the work of around 2200 artists spanning the post-war years to the present day. 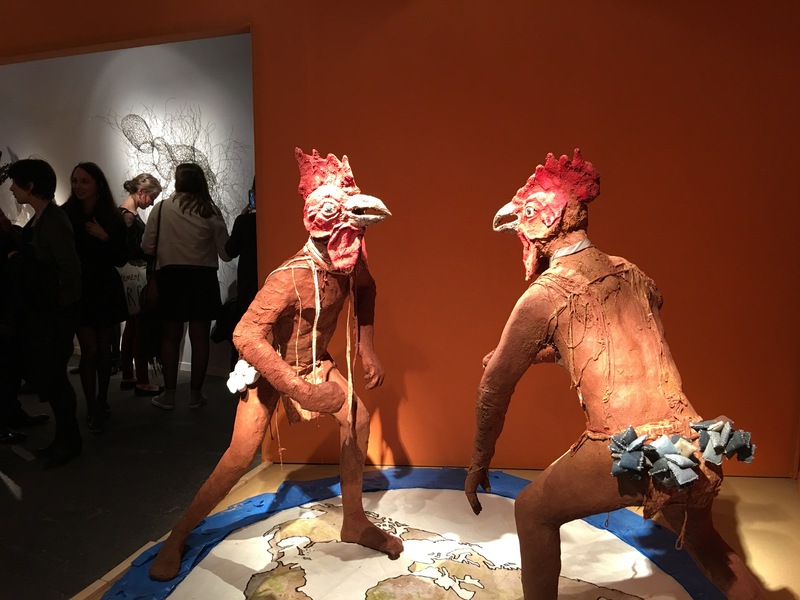 I was back for my 3rd year at the Vernissage and it did not disappoint. 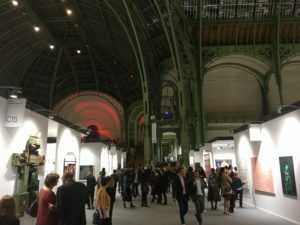 “Vernissage” is French for varnishing and, as the artists among you know, applying a clear coat of varnish is the final step in completing an oil painting. 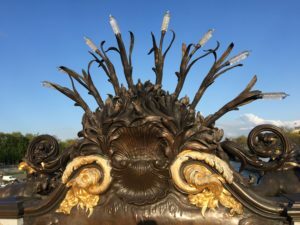 Starting in the 19th century is was not uncommon for a show venue to be full of frantic artists applying that final coat on the evening before the show was to open. 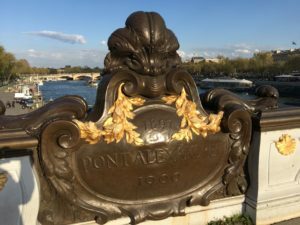 Soon it became fashionable for their close friends and privileged patrons to stop by with a bottle of wine or Champagne to socialize before the “general population” was allowed in the next day. Today in the U.S. you can usually buy a ticket to a Vernissage. 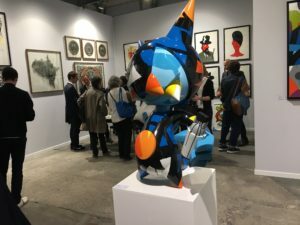 It may be $100 for a show that will be $15 on the opening day and it usually includes wine and hors d’oeuvres, but the best part is usually the people and the party atmosphere. In Europe I have found that usually the only way in is an invitation from one of the exhibitors. 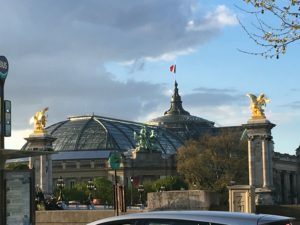 The Grand Palais des Champs-Élysées, commonly known as the Grand Palais was built for the Universal Exhibition or “World’s Fair of 1900 and inscribed on its west pediment you will find “Ce Monument A Ete Consacre Par La Republic A La Gloire De L’Art Francais” or ” This Monument has been Dedicated by the Republic to the Glory of French Art”. Construction began in 1897 and this magnificent example of Beaux Arts architecture was completed on May 1, 1900 and along with the Eiffel Tower completed 10 years earlier they served as the bookends for the fair. The Grand Palais is on the right bank of the Seine at the Pont Alexander III. 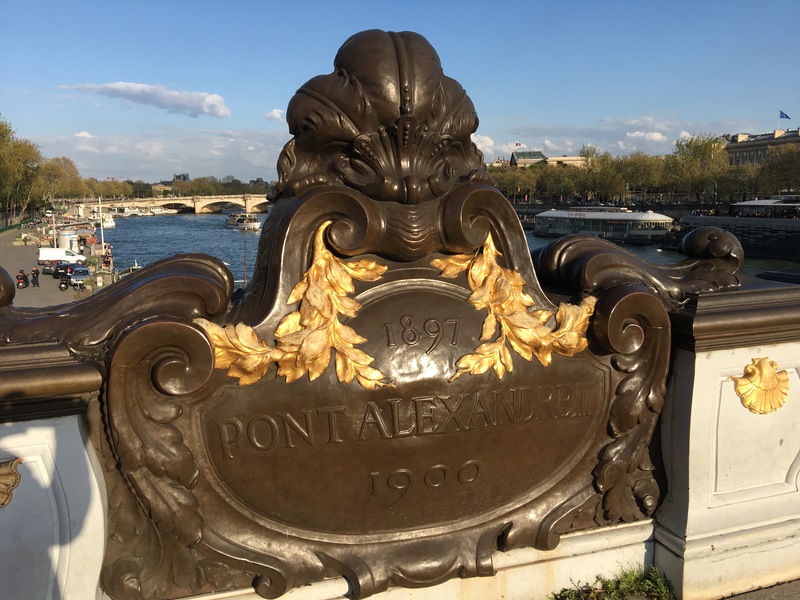 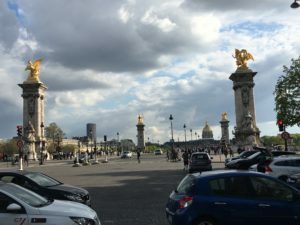 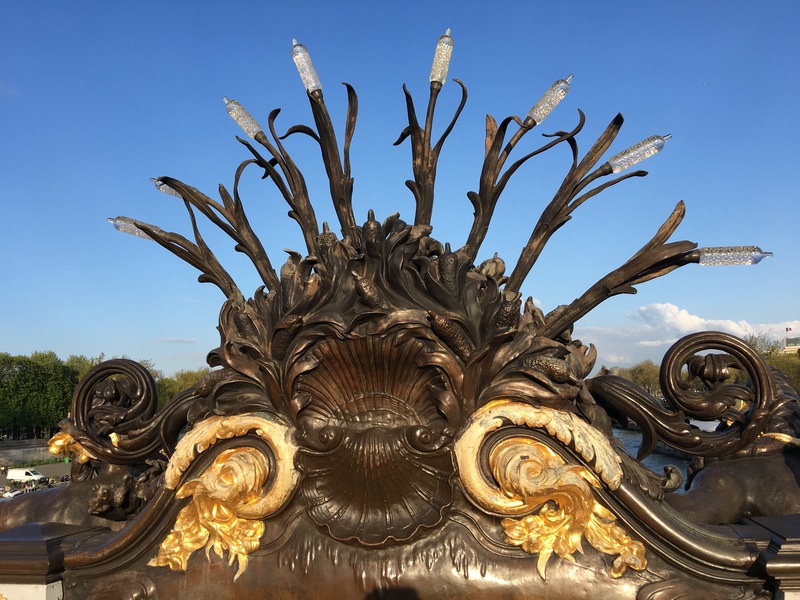 The bridge, also built for the fair, opens across the river on the left bank to the grand park leading to the Invalides with Napoleon’s tomb under the gold dome at the center. 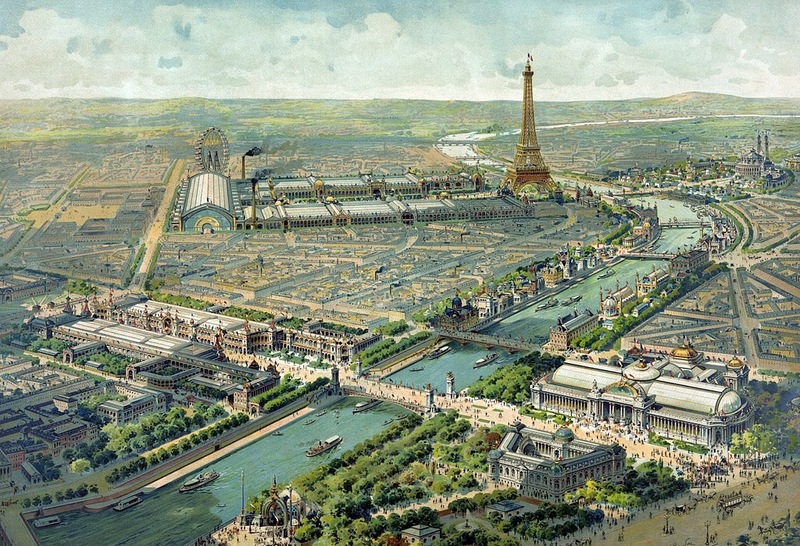 During the fair both sides of this park were lined with buildings housing exhibits. 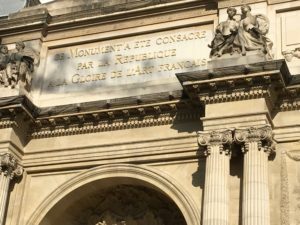 You can see by the artists rendering that exhibits also lined the Parc du “Champs de Mars” leading up to the Eiffel tower and that the two venues were connected by exhibits along both sides of the Seine. 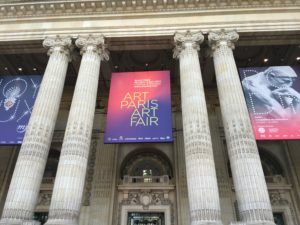 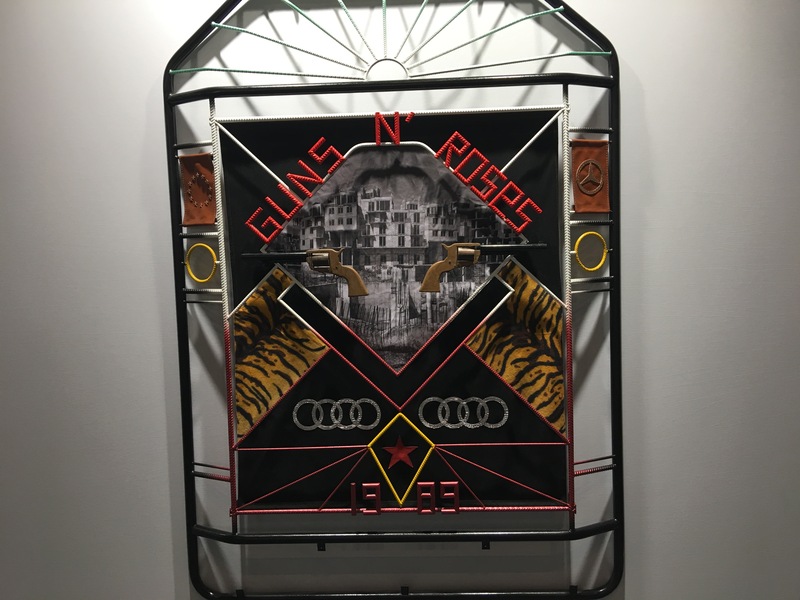 The highlights of the fair were Rudolf Diesel’s new engines powered by peanut oil, talking films, but the most important revelation in the end was the introduction of “Art Nouveau” to the world. 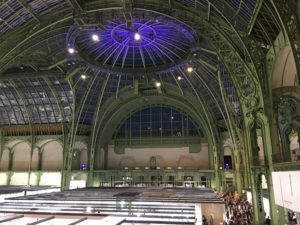 It is a simply spectacular venue for an art show and neither the art nor the show disappointed. 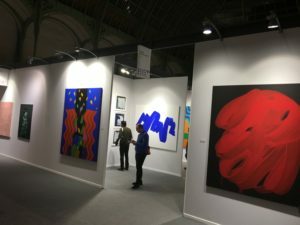 First let me me give some idea of the “show”. It is important to remember that one click will make these pictures bigger and a second click is even better. 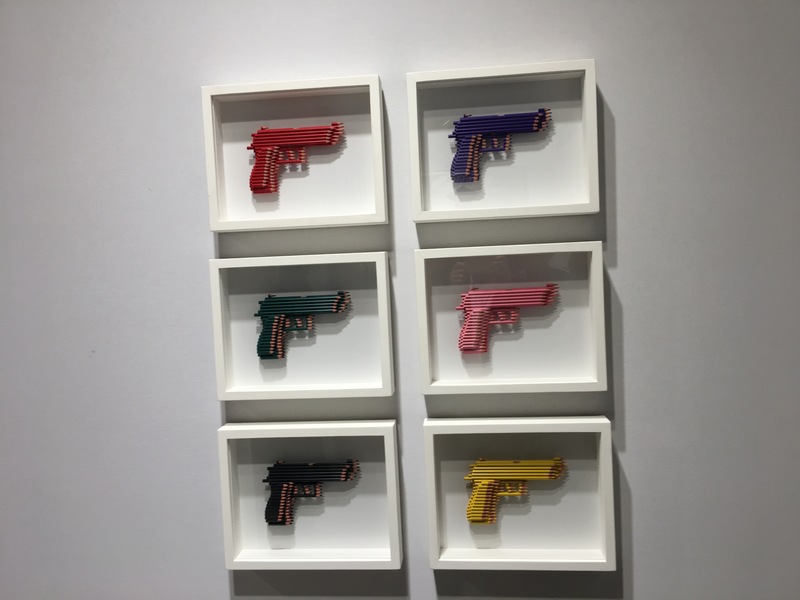 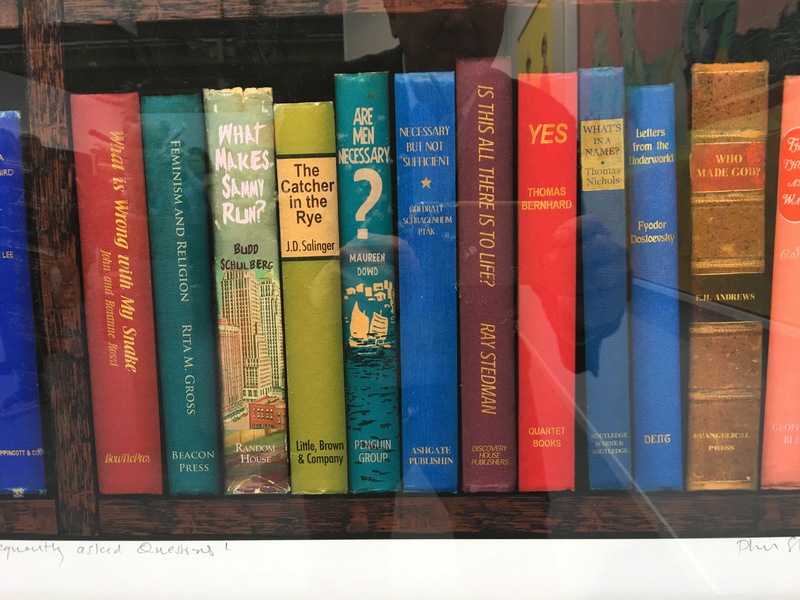 Then there was the art. 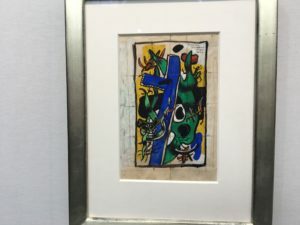 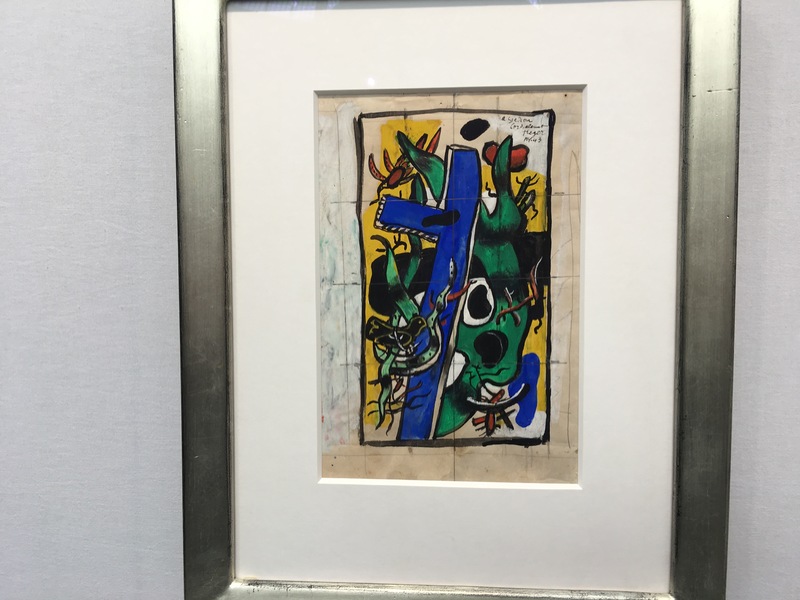 This great little Leger watercolor demonstrating his personal form of cubism and the eye popping piece by one of the pioneers of Op-Art Viktor Vasarely both got my attention. 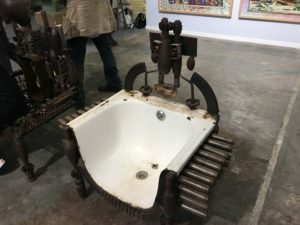 The hall was full of great “objets d’art” and here are a few. 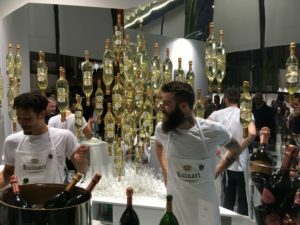 It was simply a incredibly fun and memorable evening and the only thing that would have made it betters if you could have been here with me.